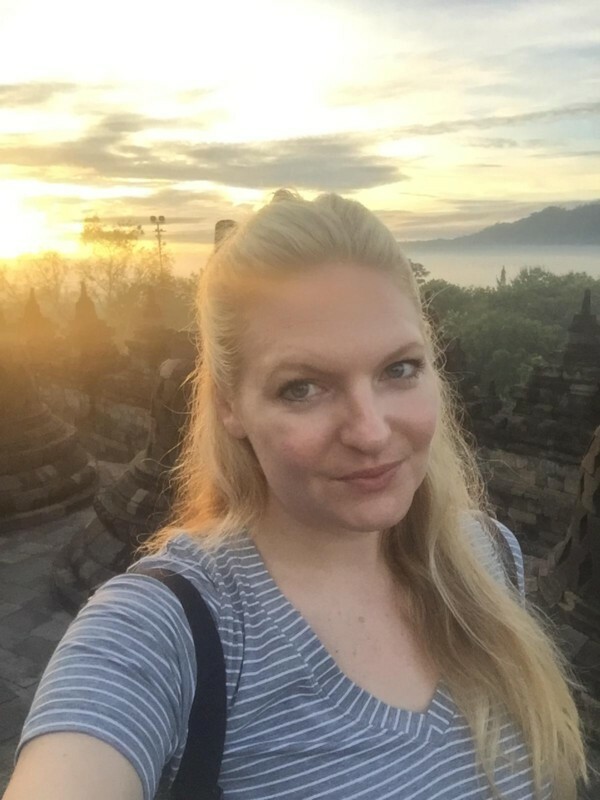 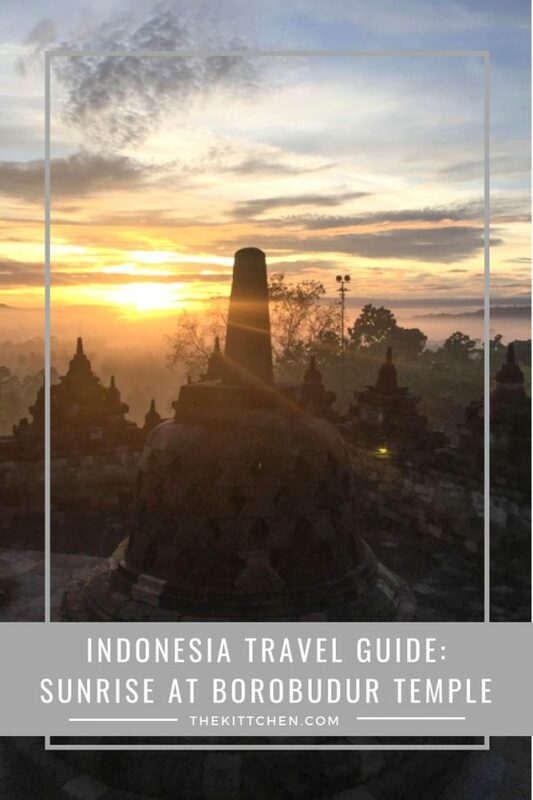 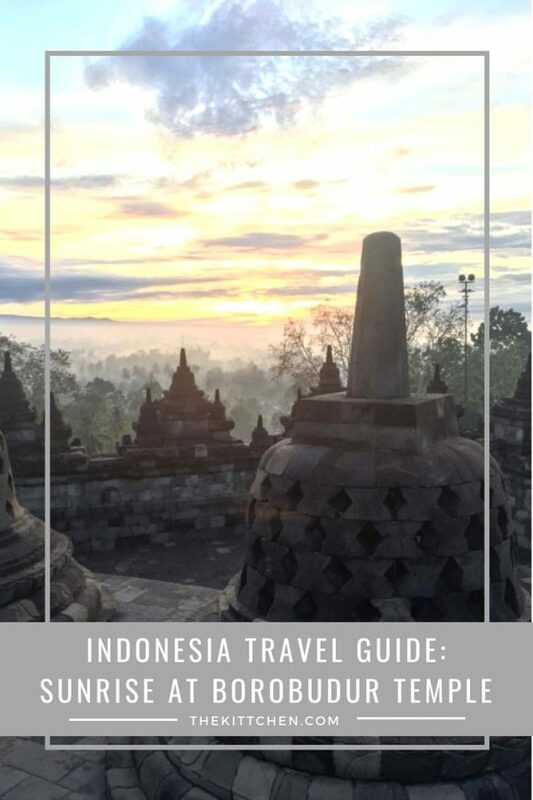 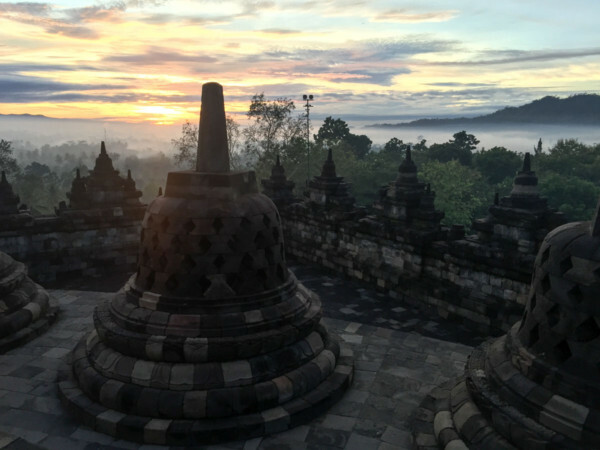 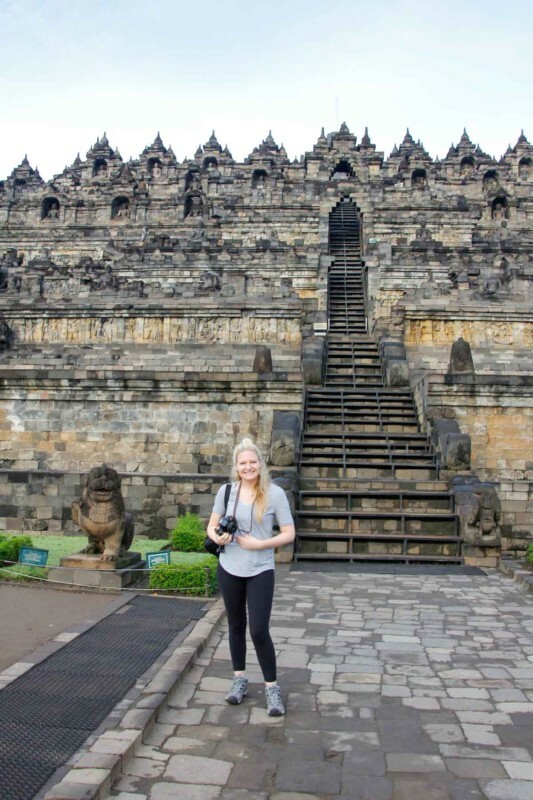 You might not expect to find the biggest most elaborate Buddhist monument in the world in the country with the world’s largest Muslim population, but Borobudur is just outside Yogyakarta in Indonesia. 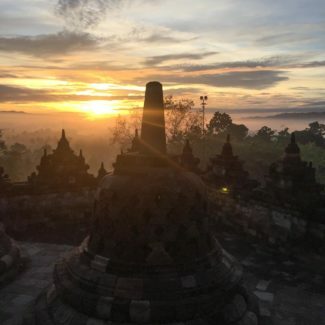 During my trip, my sister forced me out of bed at 4am so that we could watch the sunrise from the temple. 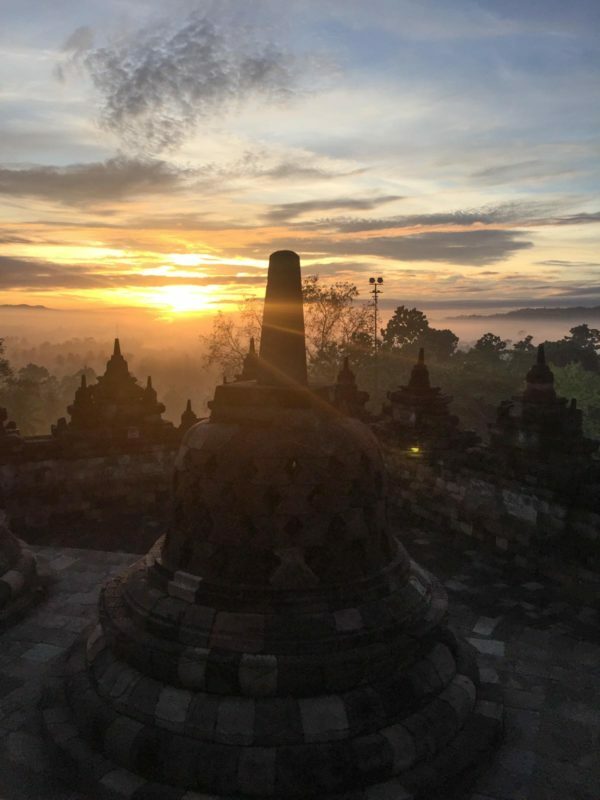 The sunrise and the temple were incredibly gorgeous, so this post is loaded with photos! 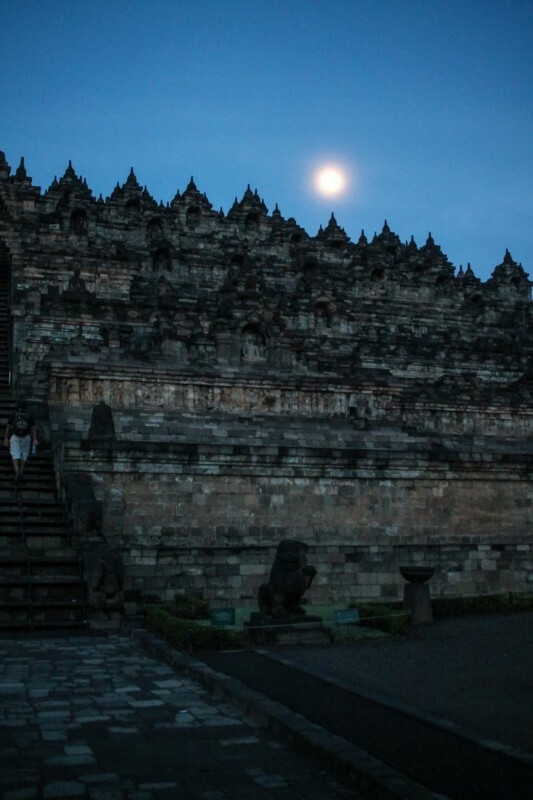 We happened to be there during a super moon, which was still up when we arrived. 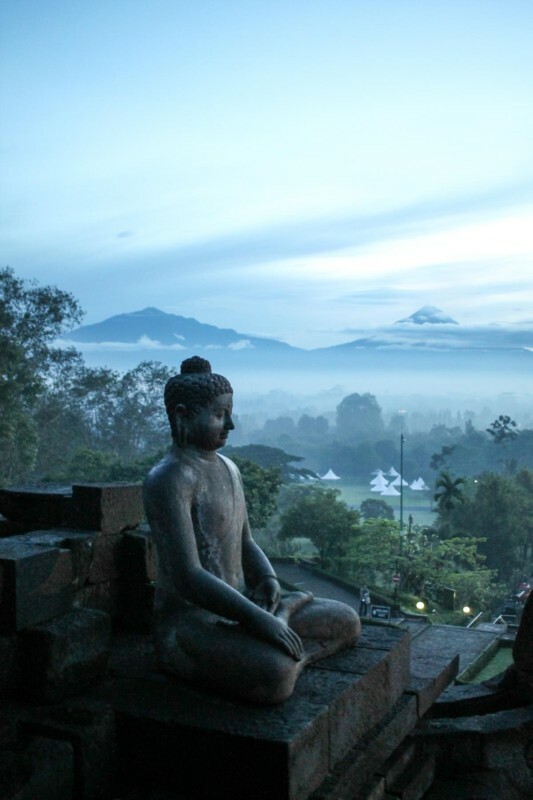 Borobudur was built in the 800s but it was abandoned by 1006. 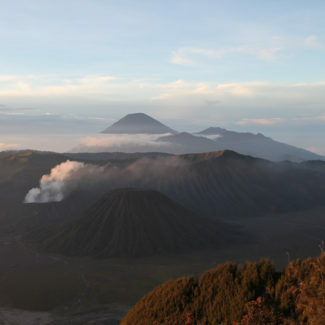 It is believed that the area was abandoned during a period of activity from the nearby volcanos. 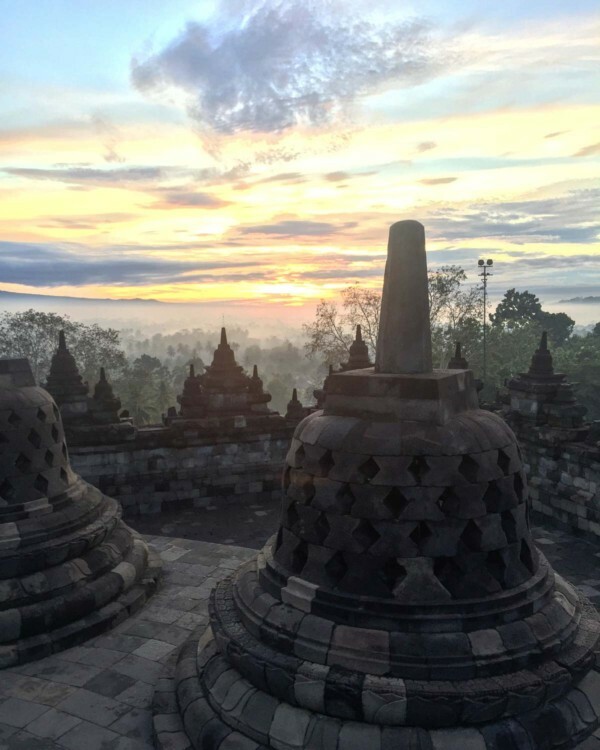 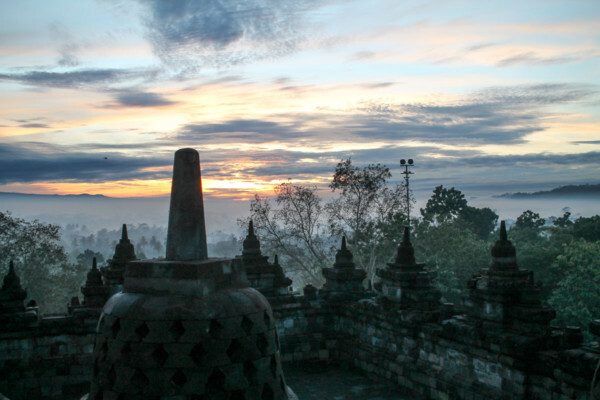 The fascinating thing about Borobudur is that it was untouched for a thousand years. 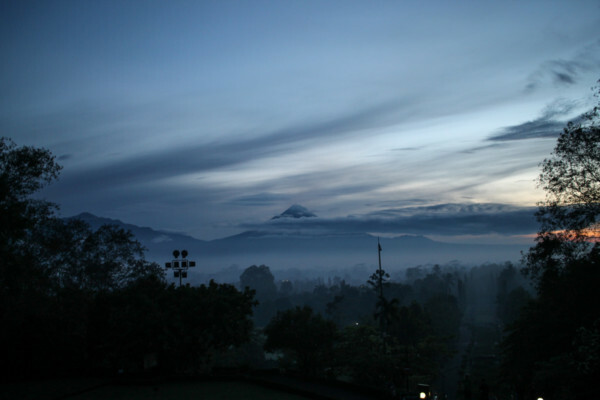 The surrounding volcanos make the land incredibly fertile, and during that thousand years, a thick jungle completely covered the massive monument. 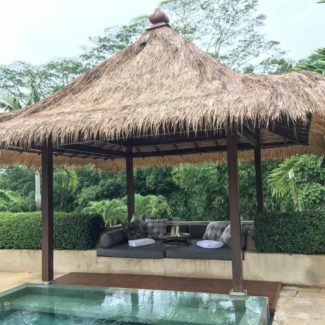 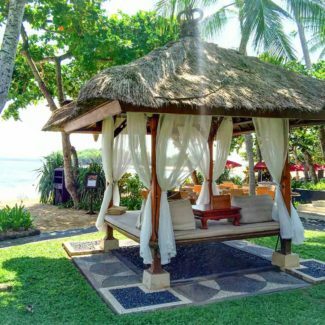 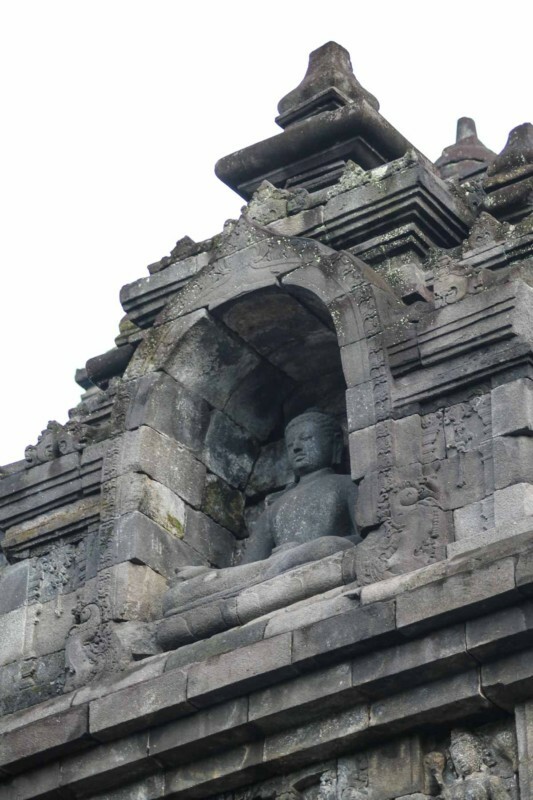 It was Lieutenant-Governor Thomas Stamford Raffles who came to Indonesia in 1814, heard about the temple deep in the forest and assembled a team to find it. 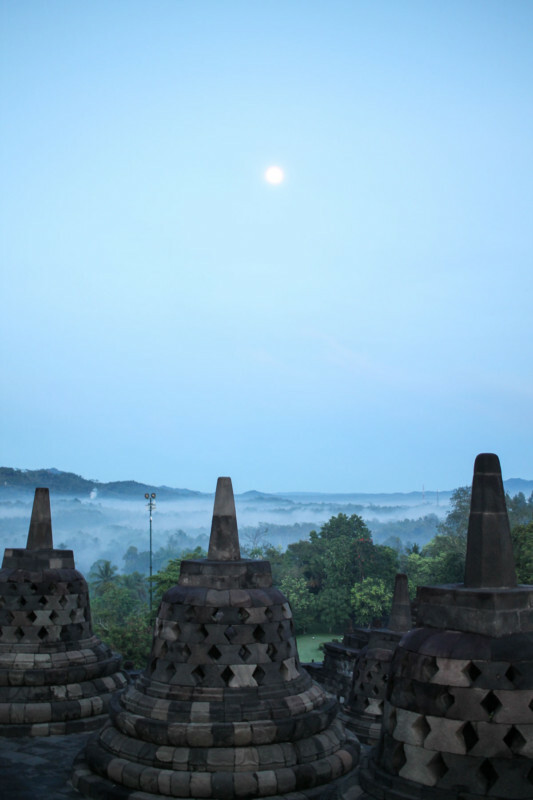 Borobudur was so covered in vegetation that it took 200 men a month and a half to clear the perimeter of the temple. 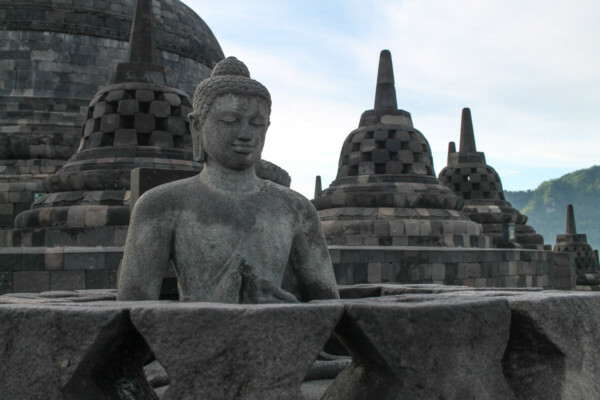 When Borobudur was uncovered it was damaged from earthquakes in the area and water due to poor drainage. 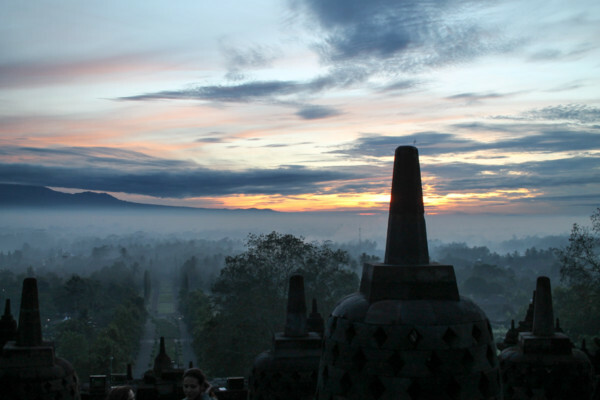 In the 1970s Borobudur underwent a ten-year restoration. 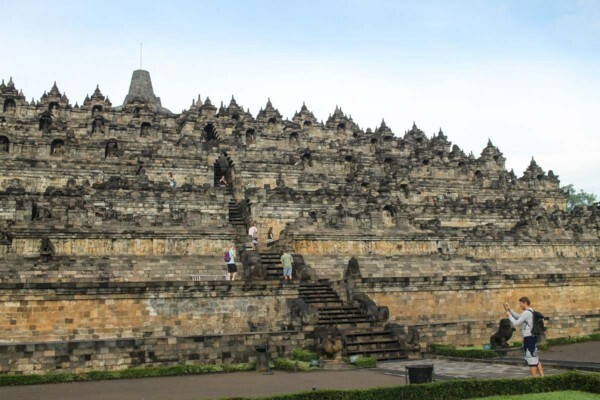 Over 170,000 stones were moved so that the foundation of the temple could be secured with cement. 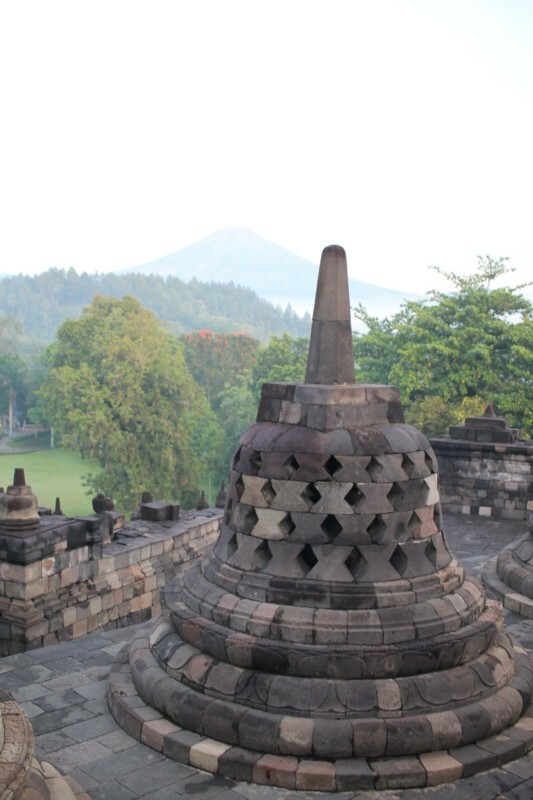 Today Borobudur is fully restored and receives over a million visitors per year. 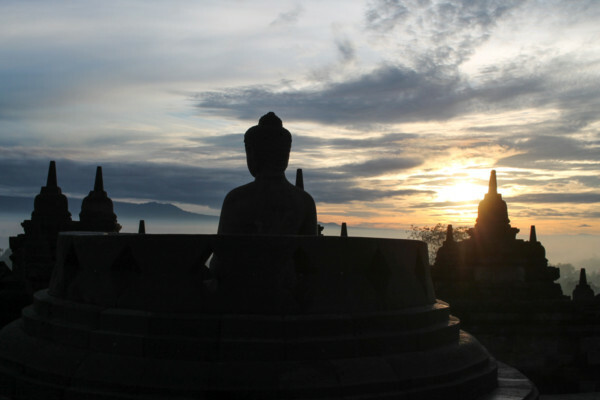 It is still a pilgrimage site for Buddhists. 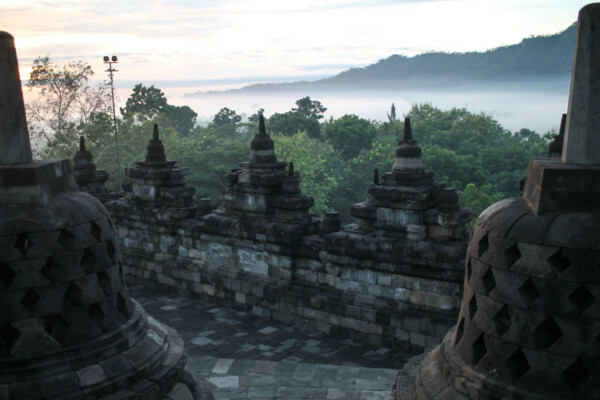 The temple itself has 72 stupas, each containing a sculpture of a Buddha. 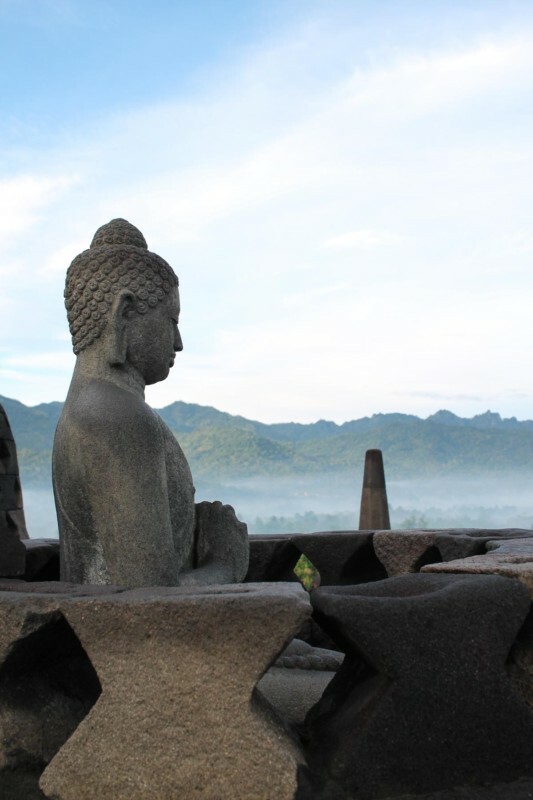 There are 504 sculptures of Buddha in total. 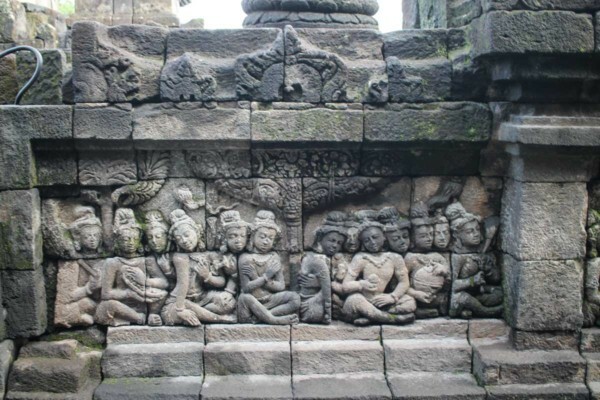 Relief sculptures decorate many of the stone walls and tell stories of Buddha and share his teachings. 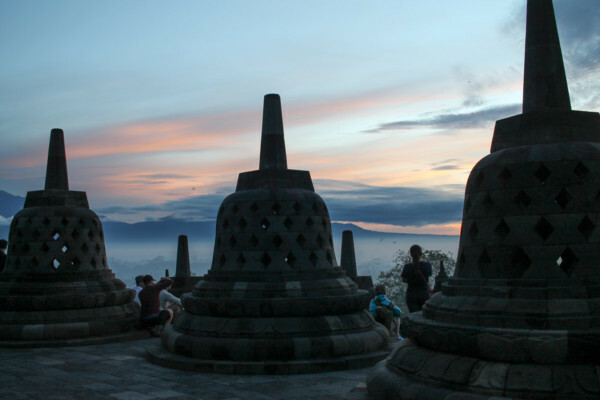 One thing that struck me about the experience of visiting Borobudur is the deep respect that locals have for the temple and for the Buddhist faith. 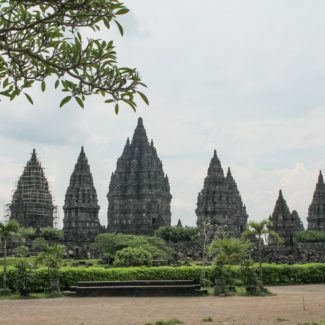 Most of the visitors were Muslim, including a few of the school groups, who came to see the temple and learn more about the culture. 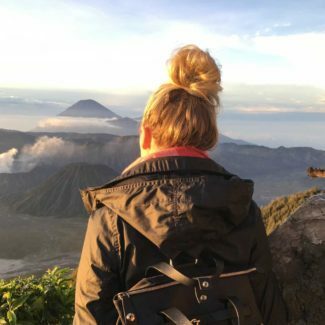 Just a week after Trump’s election it was just the sort of unity and respect that I found inspiring. 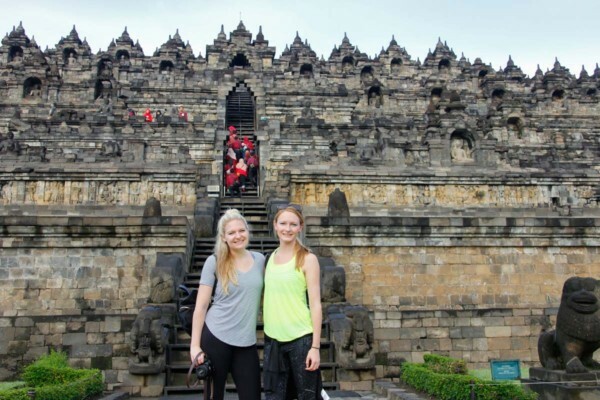 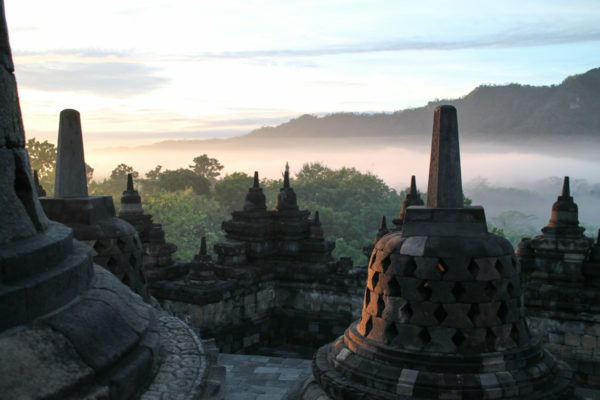 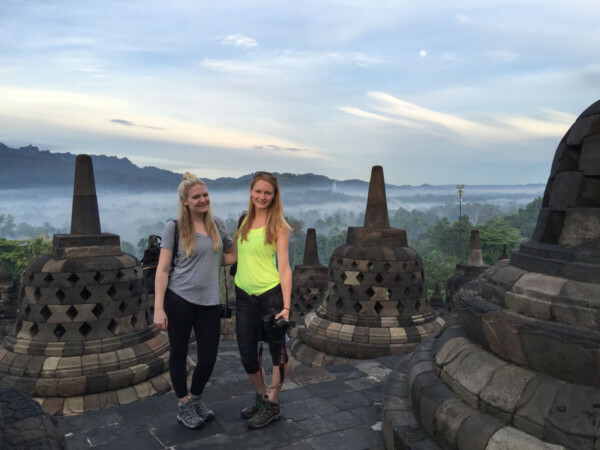 Borobudur is close to Yogyakarta in Indonesia’s Java region. 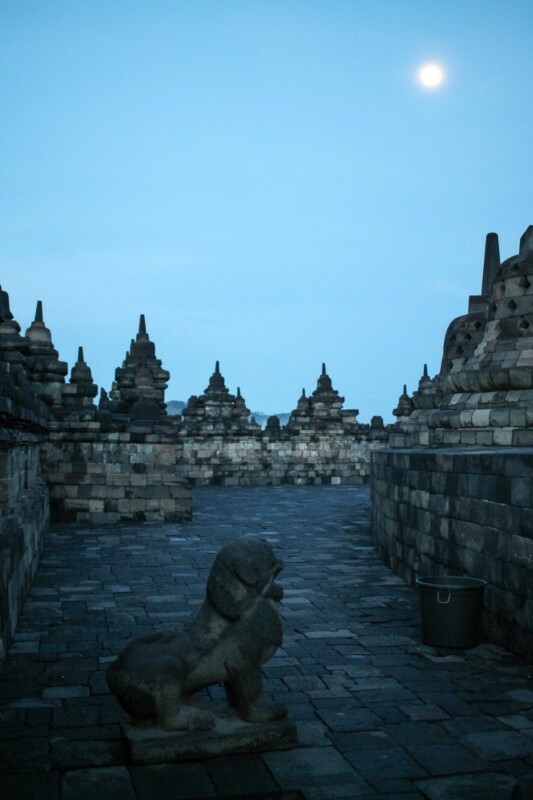 We stayed at the Amanjiwo, which is one of the hotels closest to the monument.